Michael Conforto might not have gotten consistent playing time with the Mets, but he’s getting it in Las Vegas, showing why the Mets took him 10th overall in the 2014 draft. In his first six games, he’s 15-for-23 (.652) with two home runs, nine runs and six RBIs. 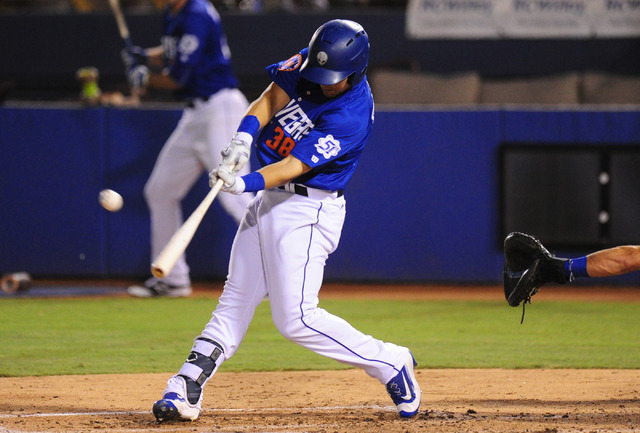 Standing against a hallway wall at Cashman Field, Michael Conforto had all the right answers. Sent down after receiving sporadic playing time and not producing with the Mets, Conforto gave responses more expected from a polished veteran than a 23-year-old just sent down to Triple-A for the second time in a season. 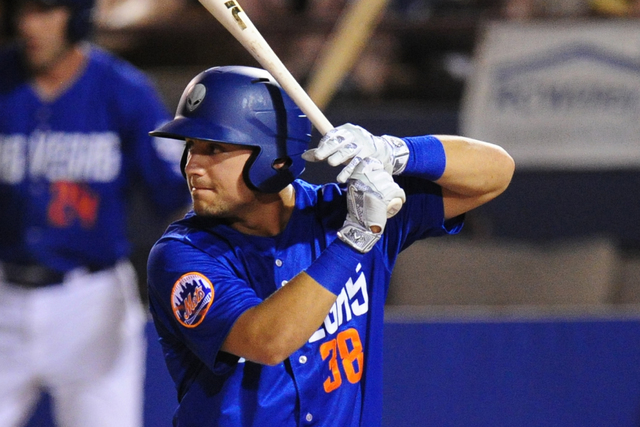 Conforto might not have gotten consistent playing time with the Mets, but he’s getting it in Las Vegas, showing why the Mets took him 10th overall in the 2014 draft as the 51s begin a four-game series at the Tacoma Rainiers on Saturday. In his first six games, he’s 15-for-23 (.652) with two home runs, nine runs and six RBIs. In the first game, he got hit by a pitch and didn’t register an at-bat. In the next five, he has five multi-hit games, including a pair of four-hit efforts. As a rookie last season, Conforto hit .270 in 56 games. He skipped Triple-A on his way up, but adjusted well despite that and played an important role for the Mets as they went to the World Series, even hitting two homers in Game 4. 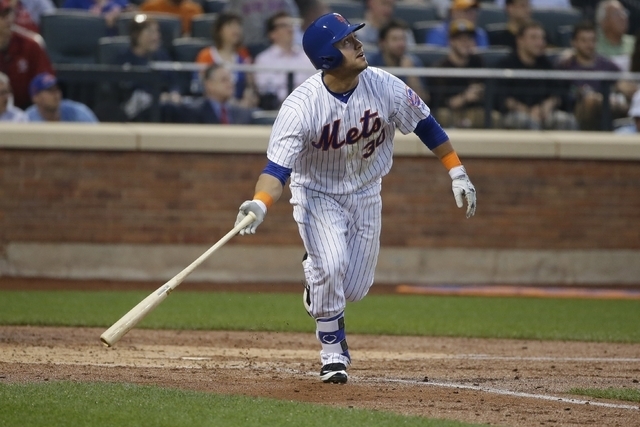 But after struggling this year, the Mets sent Conforto down in June to work on his swing. In that time, he hit .344 in 16 games and by the time he was recalled, he felt good about where his swing was at. The results when he returned to New York, though, weren’t there. He hit .200 in 50 at-bats. The problem, he said, was more about the pitches he was swinging at than the swing itself. With the lack of results, he said he started pressing. “I hit the ball pretty well, just didn’t seem to find the holes and I think that’s where that pressing started to come from,” Conforto said. “I was trying to get three, four hits in one at-bat but that’s the kind of thing that you come back down here, you get a perspective. It might not be the big leagues — but Conforto’s results are impossible to dispute. Conforto’s been swinging at better pitches upon his return, hitting the ball hard and finding a few holes here and there. Without the pressure to perform, he’s been performing. Conforto still remains an important part of the Mets’ future plans, and while he’s down in Triple-A, they’re having him play a bit of center field — a position he is relatively new to — which will help increase his versatility. But while he’s been learning a new position, the bat hasn’t suffered one bit.